We’re proud that our Digital PowerSports customer, Texas Harley-Davidson in Bedford, TX, earned the IDEA Award for Store Exterior from Dealernews. And they were just name one of the Top 25 Dealers In America too! 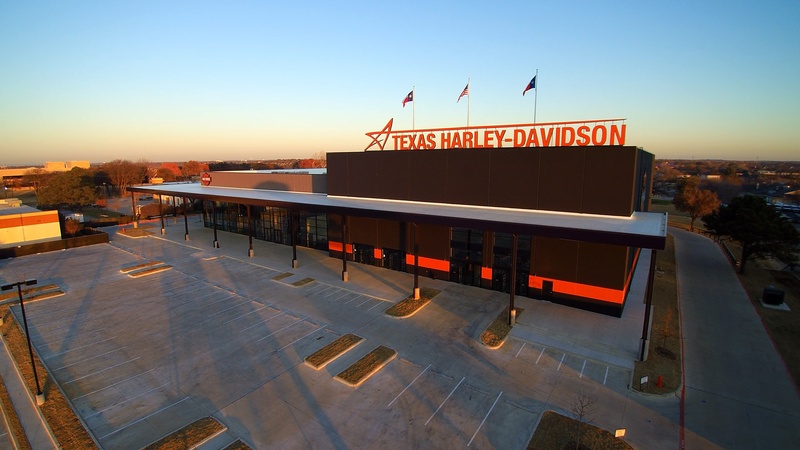 Texas Harley-Davidson is part of the Adam Smith group of dealerships is within minutes of DFW International Airport and serves the Dallas/Ft Worth area, so it sees many travelers as well as locals. Texas Harley-Davidson is the largest Harley dealership in the state of Texas, consuming 72,000 sq. ft.! It also has HUGE Texas-style signage on top of the roof that you can’t miss and is even known to be seen from landing airplanes. The front of the dealership just screams Texas! They attract a lot of tourist traffic and carry an extensive stock of apparel and collectibles. And because of the tourist traffic, they manage a healthy rental business and carry an extensive inventory of clothing and collectibles. Dealernews, a dealer information resource for North American powersports retailers, is the motorcycle and powersports industry’s largest, longest running and most prestigious retail competition, recognizing motorcycle and powersports dealerships across the US for their Commitment to Customers.